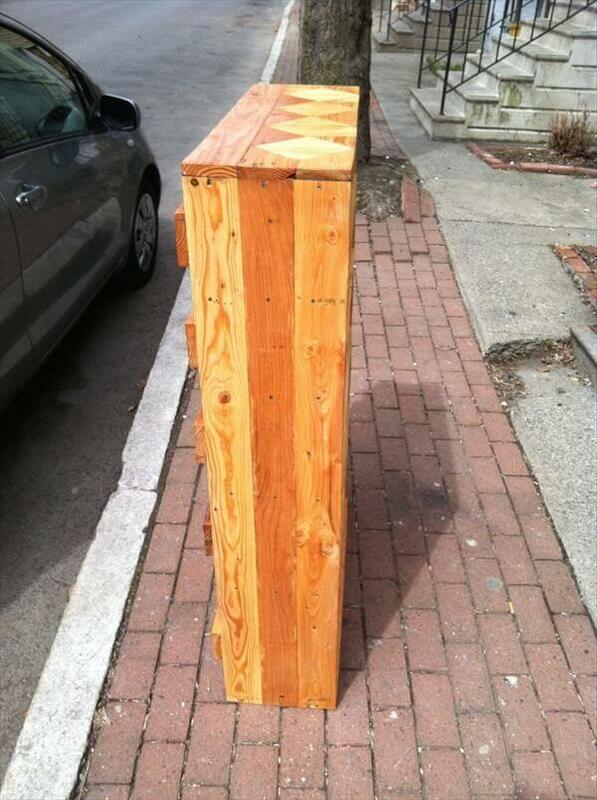 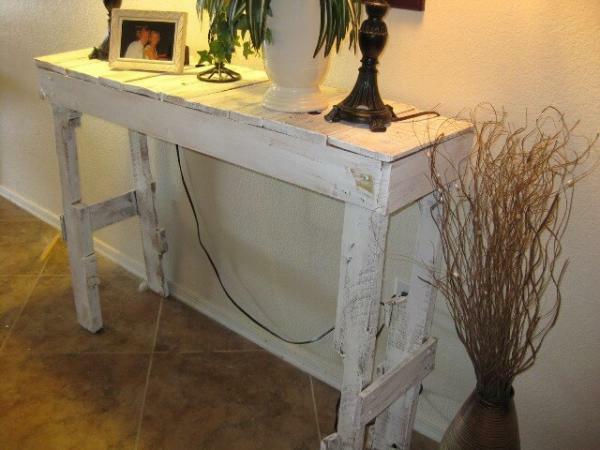 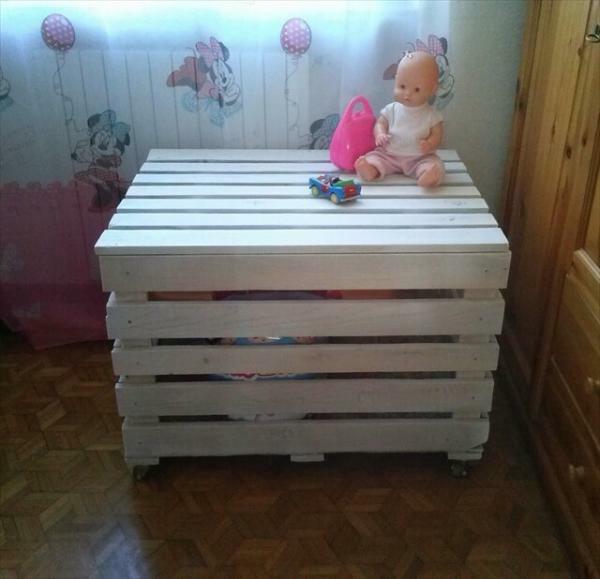 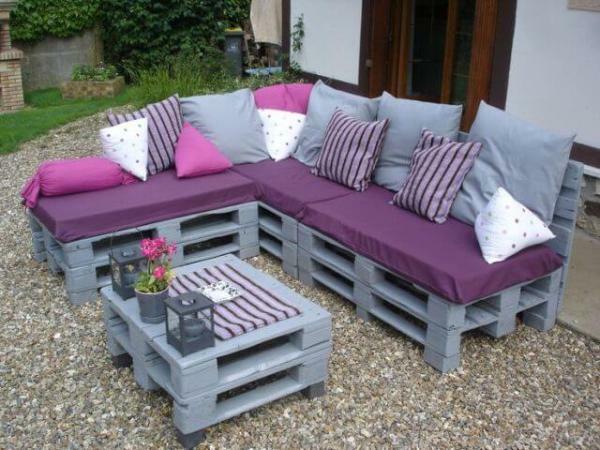 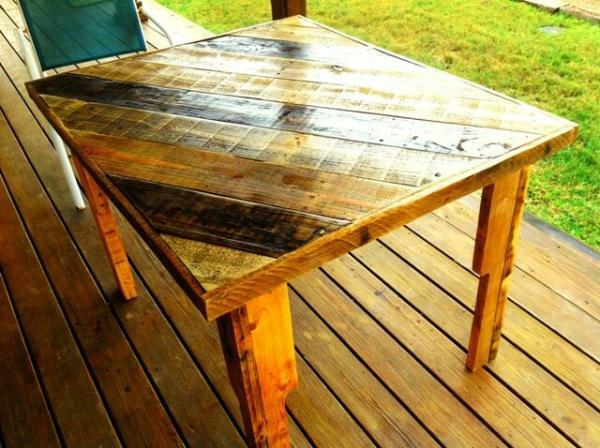 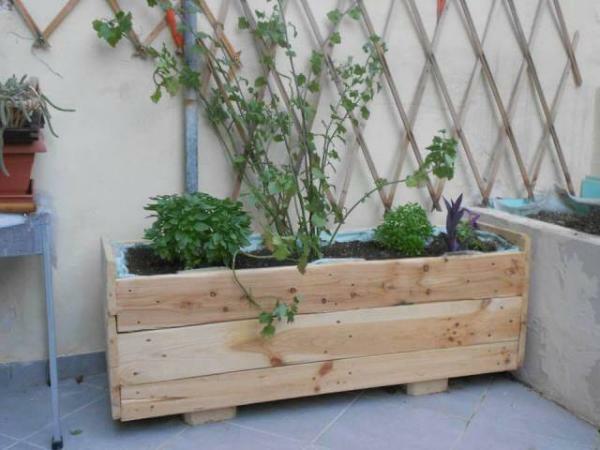 You can regenerate pallets into any required type of furniture which you want. 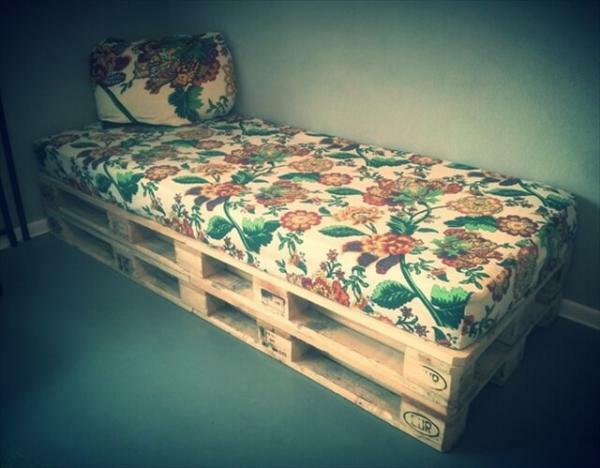 We found some newly made pallets from the shipping area, the wood was looking graceful and eye-catching. 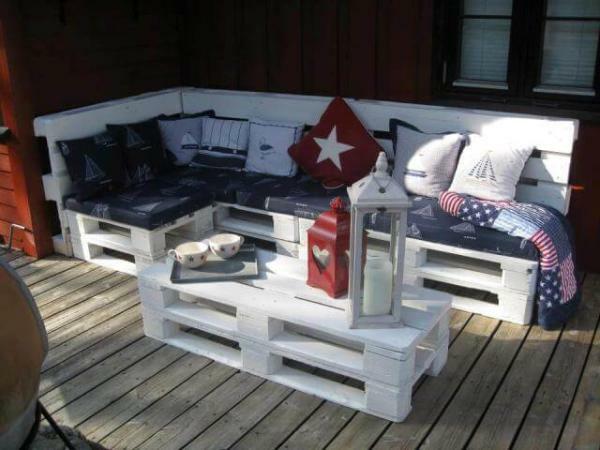 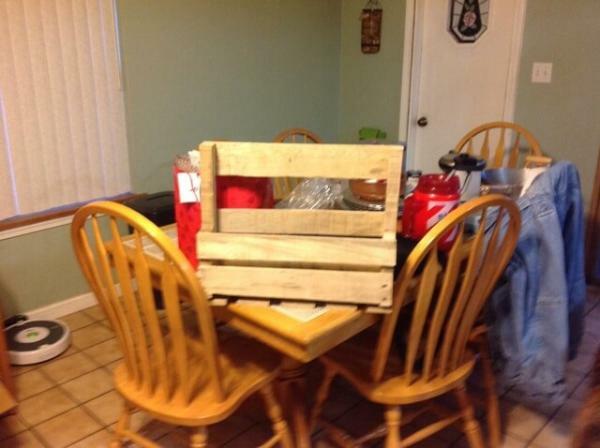 As these pallets were much healthy and new we still got them without any cost. 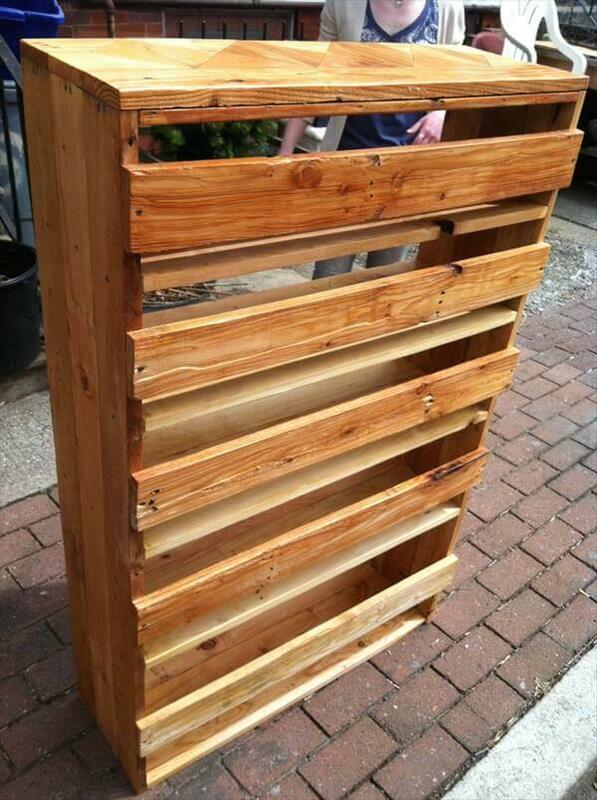 We modernized those pallet skids to make this DIY pallet bookcase which has a very fresh and visually attractive nature. 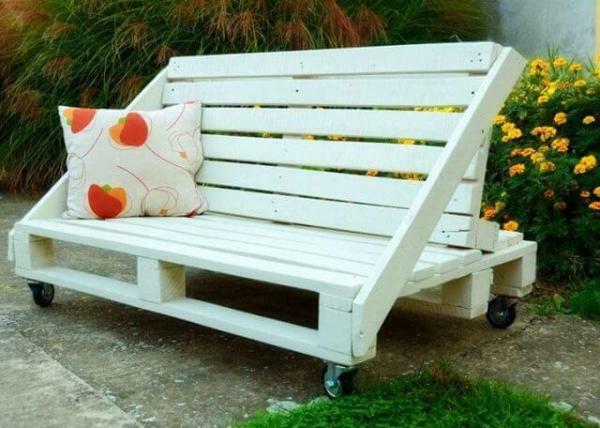 The portion which really adds its chic and unique character is its top which has been given a mind blowing artistic pattern. 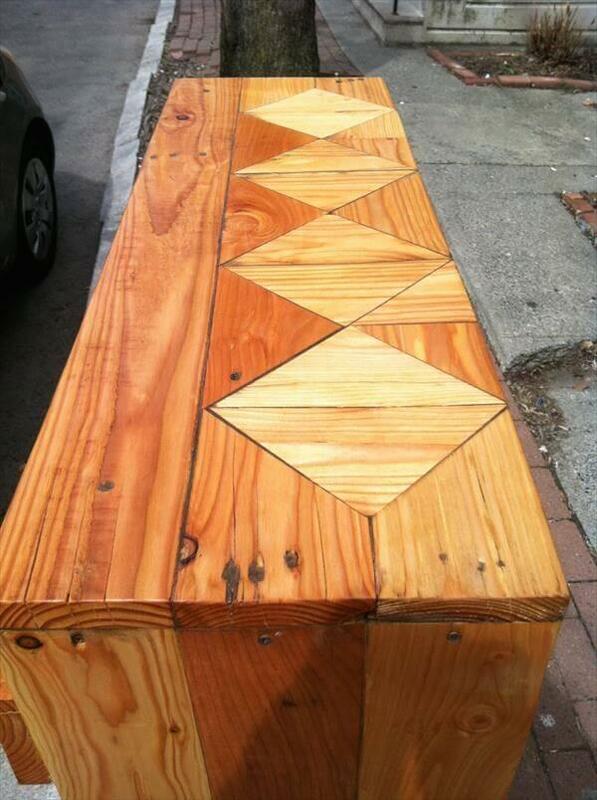 This nicely done pattern really triggers to be a fetching centerpiece for your living room or office. 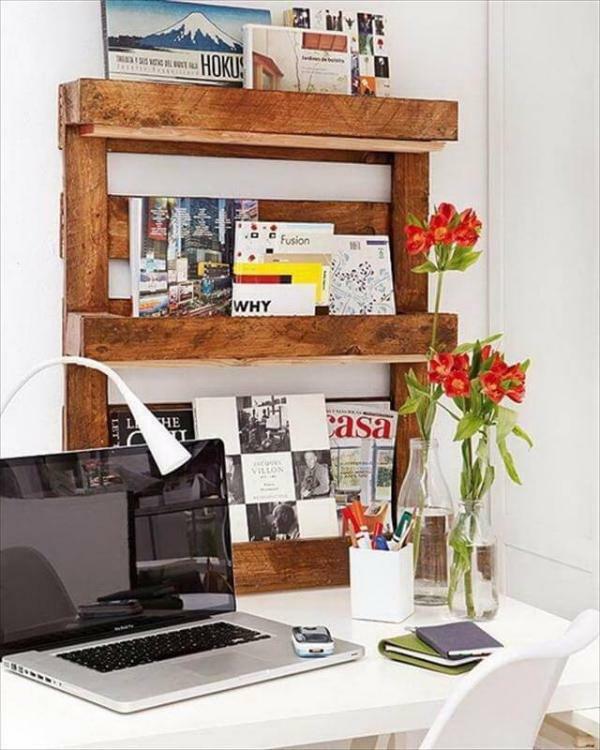 If you have really liked this revived DIY pallet bookshelf then get you books from awkward places of your home and give them a secure storage in this handmade wooden bookshelf. 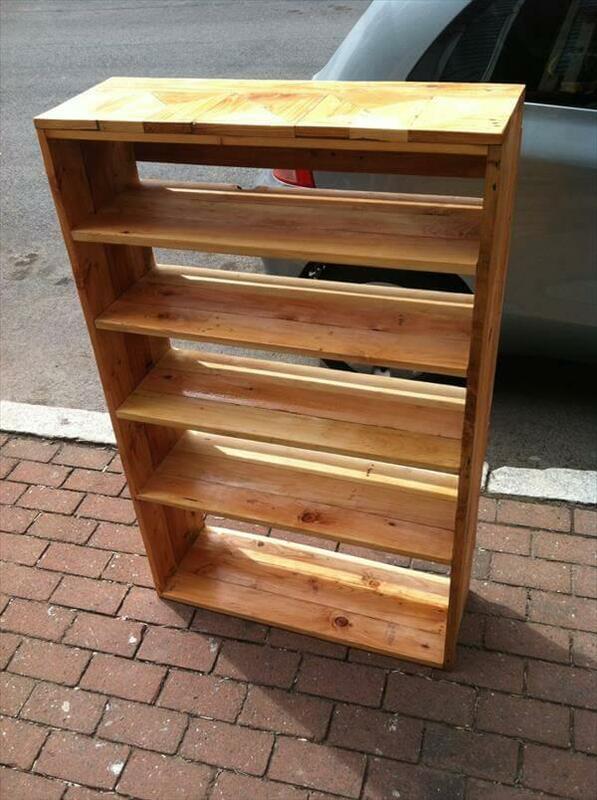 This bookcase has been finished with clear coat of wooden stain with lacquer to allow shine on the wood grains.